Pamela Casey comes to us from the Canadian Centre for Architecture in Montreal, where she worked as Archivist after receiving her Master in Library and Information Studies at McGill University in May 2015. From 2012-2013, Pamela was a Graduate Archival Intern at Avery Drawings and Archives and at Columbia’s Rare Book and Manuscript Library. In 2012, she taught academic writing to architecture students at Pratt in New York. In addition, Pamela has worked as an editor and researcher for Bartlett faculty member Guan Lee, as a researcher for Montreal heritage architect Louis Brillant, and as a copyeditor for University of Waterloo’s School of Architecture O’Donovan Director Anne Bordeleau. Pamela received her MFA in Writing from Columbia University in 2014, where she also taught creative writing in the Columbia Undergraduate Writing Program. Prior to coming to Columbia, Pamela was a producer in London, England, working on independent productions and supporting new film talent at organizations like the BBC, the UK Film Council and the National Film and Television School. She received a BA in Interdisciplinary Studies, with a concentration in International Affairs, from Carleton University in Ottawa in 1996. Pamela Casey joins us as Architecture Archivist in Drawings and Archives, where her focus will be on outreach to faculty and students, planning for architectural born-digital collections, processing visual materials across Avery’s archival collections including the photographic material in the Frank Lloyd Wright Foundation Archive. This entry was posted in Avery Staff news, Drawings & Archives on November 28, 2016 by Ted. 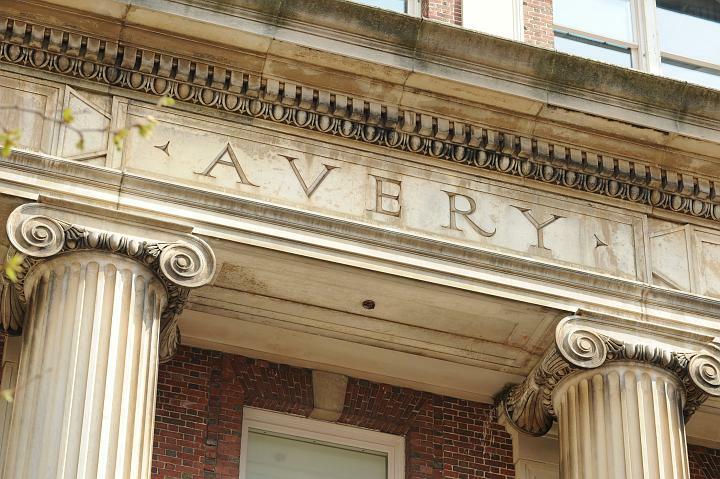 New job openings at Avery! This entry was posted in Avery Classics Collection, Avery Staff news on July 21, 2014 by Ted. Avery Library's Seymour B. Durst Old York Library Collection project welcomes two new staff members to our bibliographic services team. Lena Newman (right) began working on the Durst Project in the Fall of 2012 first as a student assistant and then as Project Bibliographic Assistant. Her work entails hands-on bibliographic research and analysis for inventorying, copy cataloging, and preparation of materials for digitization. Lena hold a B.A. in Comparative Literature from Barnard College. In addition to her Durst Project experience, she worked as a student assistant for the Avery Index to Architectural Periodicals and as a community organizer and fundraiser on various projects in Honduras. Gabriella (Elly) Karl-Johnson (left) joins the Durst Project as the Cataloging Bibliographic Assistant. She will work on metadata development for bibliographic works and ephemera items in the collection, including data remediation, subject analysis, and data enhancements such as geo-location. Elly golds a B.A. from Beloit College, an M.Arch. from the University of California Berkeley, and is currently enrolled in the Palmer School, Long Island University, MLIS program. Previous experiences include marketing and communications roles at Steven Holl Architects, as well as internships at the Center for Jewish History and the Brooklyn Academy of Music. She recently concluded a cataloging internship at Avery Library working on our American View Books collection, a CLIR Hidden Collections grant-funded project. This entry was posted in Avery Staff news, Seymour B. Durst Old York Library on October 23, 2013 by Ted. Roberto C. Ferrari, Curator of Art Properties, recently represented Columbia University Libraries at Oxford University, where he was a speaker at the conference Pre-Raphaelitism: Past, Present and Future, held at the Ashmolean Museum and St. John’s College on September 13 and 14, 2013. The conference was a response to the exhibition Pre-Raphaelitism: Victorian Avant-Garde, which opened in London in 2012 and will have been shown in Washington, D.C., Moscow, and Tokyo when it closes in 2014. 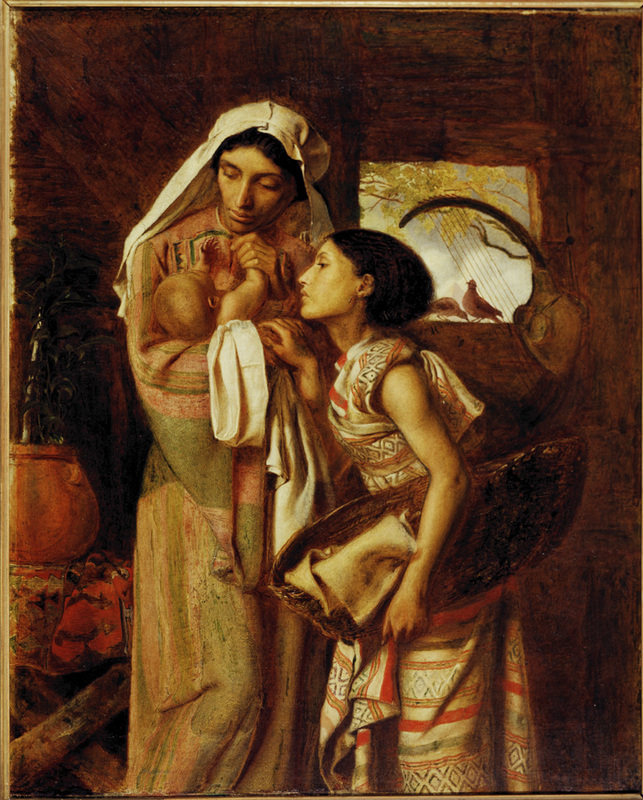 Roberto’s paper, “Pre-Raphaelite Exotica: Fanny Eaton and Simeon Solomon’s Mother of Moses,” considered the Anglo-Jewish artist’s first Royal Academy exhibition painting from 1860, seen here, and addressed the role of his model for this painting, Fanny Eaton, a mixed-race woman born in Jamaica, the daughter of a former slave. By drawing on contemporaneous issues as diverse as exoticism, race relations, and Jewish history, Solomon’s painting of an Old Testament subject can be seen as a statement on the social politics of slavery and otherness in the artist's and model's day. This entry was posted in Art Properties, Avery Staff news on September 23, 2013 by Ted. 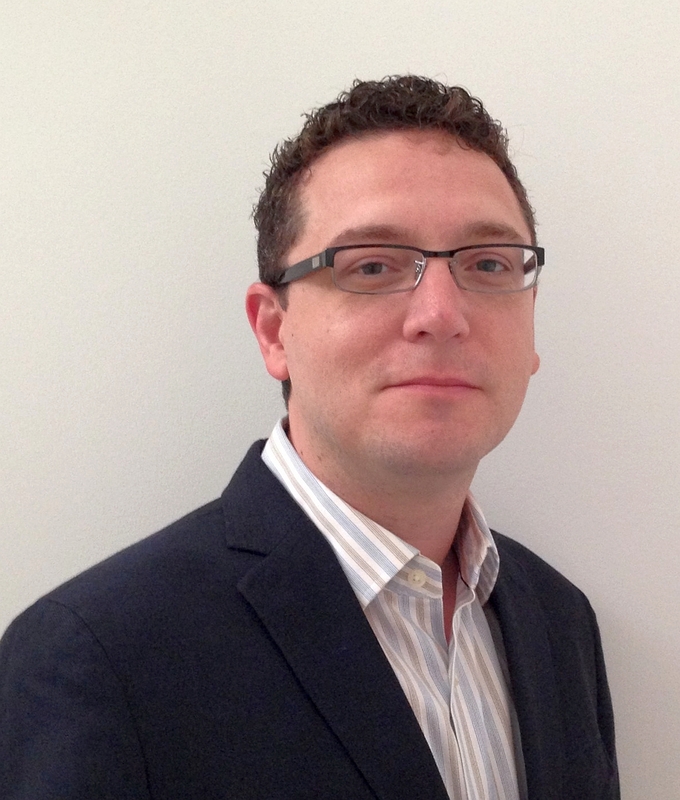 Roberto C. Ferrari, Ph.D., has joined Avery Library as its new Curator of Art Properties. Roberto brings experience and knowledge as an art historian and librarian that will help reshape the department of Art Properties for the future. His most recent librarian position was in the Image Library at the Metropolitan Museum of Art, where he oversaw digitization projects and worked with analog and digital image collections. He has taught classes on Asian art and nineteenth-century European art at Drew University, Marymount Manhattan College, and City College of New York. Roberto received his Ph.D. in Art History from the CUNY Graduate Center in May 2013. His dissertation, “Beyond Polychromy: John Gibson, the Roman School of Sculpture, and the Modern Classical Body,” is the first monographic study of the work of this nineteenth-century British sculptor. His M.Phil. degree (CUNY, 2010) focused on European and American art from 1750 to 1900. He holds an M.L.S. (1997) and an M.A. in Humanities (1994) both from University of South Florida. He has received a number of scholarly awards, including a Yale Center for British Art Visiting Scholar Award, a research fellowship from the Henry Moore Institute in Leeds, England, and the Spero-Goldreich Dissertation Fellowship. This entry was posted in Art Properties, Avery Staff news on June 17, 2013 by Ted. 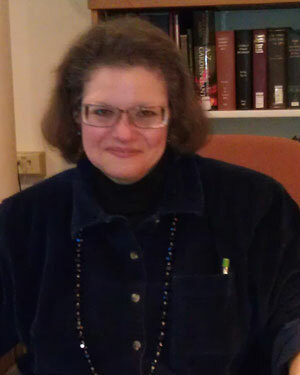 We are pleased to announce the appointment of Margaret Smithglass as the new BWR Librarian. Her first day at Avery was Monday, May 13th. Margaret comes to us from Yale where she recently completed a year as Samuel H. Kress Fellow in Art Librarianship, Yale University: Haas Arts Library and Special Collections. Other professional experiences include work in image research, cataloging, teaching, and architectural design. She holds a BA from Towson University, an MArch from North Carolina State University, and an MLIS from McGill University School of Information Studies. 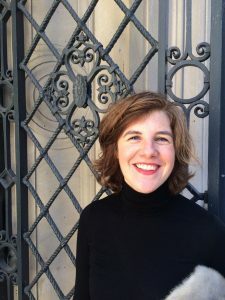 Margaret will work on project communication strategies and develop BWR metadata working with colleagues across the Built Works Registry partner institutions: Avery, ARTstor and the Getty Research Institute. This entry was posted in Avery Staff news, Built Works Registry on May 14, 2013 by Ted. Carole Ann Fabian, Ted Goodman and Kai Alexis Smith were recognized at the ARLIS/NA conference held in Pasadena. This entry was posted in Avery in the News, Avery Staff news on May 7, 2013 by Ted. 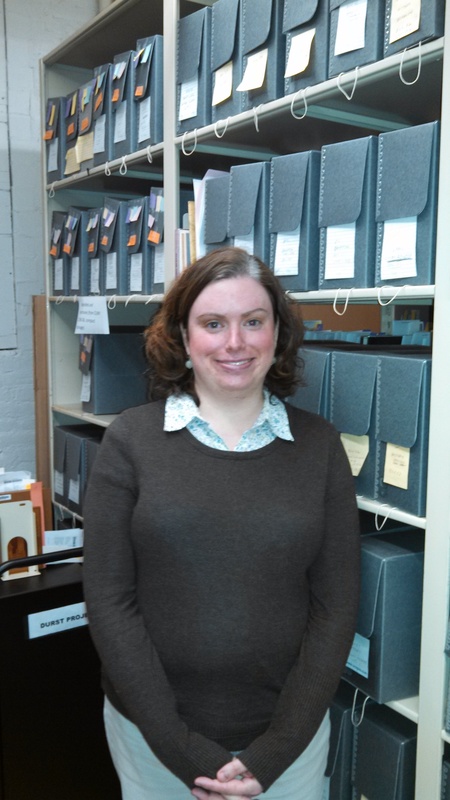 Erin Leach joins Avery Library as the Cataloging/Metadata Librarian for the Seymour B. Durst Old York Library Collection project. Erin earned an M.A. in Information Sciences from the University of Missouri-Columbia in 2005. An active member of ALA and ALCTS, Erin was a member of the 2011 Emerging Leaders cohort. She currently chairs the Continuing Resources Section's Policy and Planning Committee. Prior to joining the Avery Library staff, Erin worked at Washington University in Saint Louis as a Catalog Librarian. Erin focused on cataloging serials, ebooks, databases, and a variety of other non-print formats. In addition to her cataloging duties, Erin also worked on diverse cross-departmental projects for the WUSTL Libraries including assessment, instruction, and emerging technologies. This entry was posted in Avery Staff news, Seymour B. Durst Old York Library on January 4, 2013 by Ted. After twenty-five years of dedicated service, Barbara Sykes-Austin has retired to pursue personal interests. Over the span of her career, Barbara contributed more than 100,000 records to the Avery Index to Architectural Periodicals — nearly one-sixth of the total number of records in the Index! These records established a rigorous standard that has become a hallmark of the Index, making it a valued resource to researchers worldwide. In addition, she contributed more than 25 book notes on art and architecture to C&RL's "Selected Reference Works," and served as editor of the Guide to Reference Sources (10, 11, & 12 editions) for architecture and decorative arts sections. She served as treasurer of ARLIS/NA (1995-96) and of the Council of Planning Librarians (1996-97). But perhaps her most notable contribution as been her dedication to research support services. 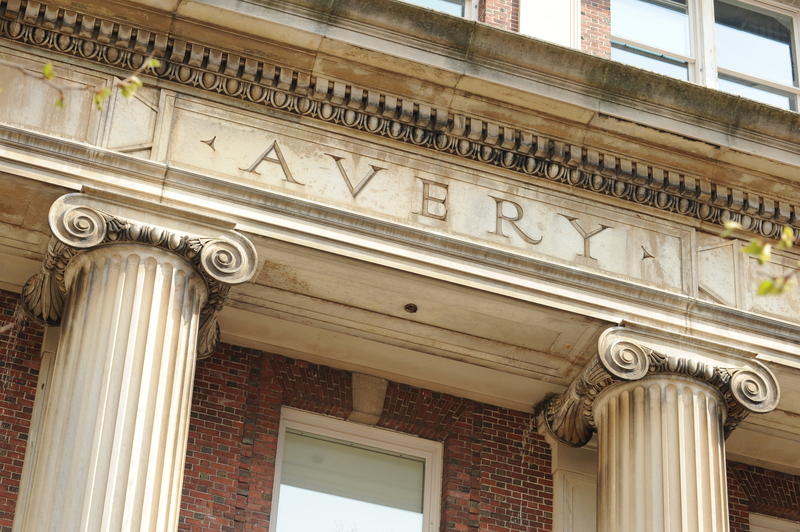 She has been a highly valued source of reference and consultative services to our students and the community of scholars who use Avery, its services and collections. This entry was posted in Avery Staff news on January 2, 2013 by Ted. Janet Parks, Avery's Curator of Drawings and Archives will deliver the keynote address at the 3rd biennial meeting of the Construction History Society of America, November 2-3, 2012. The meeting is being held in Boston concurrent with the “Palaces for the People: Guastavino and America’s Great Public Spaces” exhibit curated by John Ochsendorf and on view at the Boston Public Library through February 24,2013. The exhibit will travel to the National Building Museum in Washington, DC, March 16, 2013, and run through September 2, 2013. 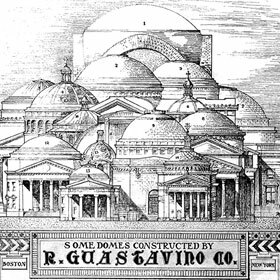 More information on Guastavino here. This entry was posted in Avery on the Road, Avery Staff news, Drawings & Archives on November 2, 2012 by Ted.